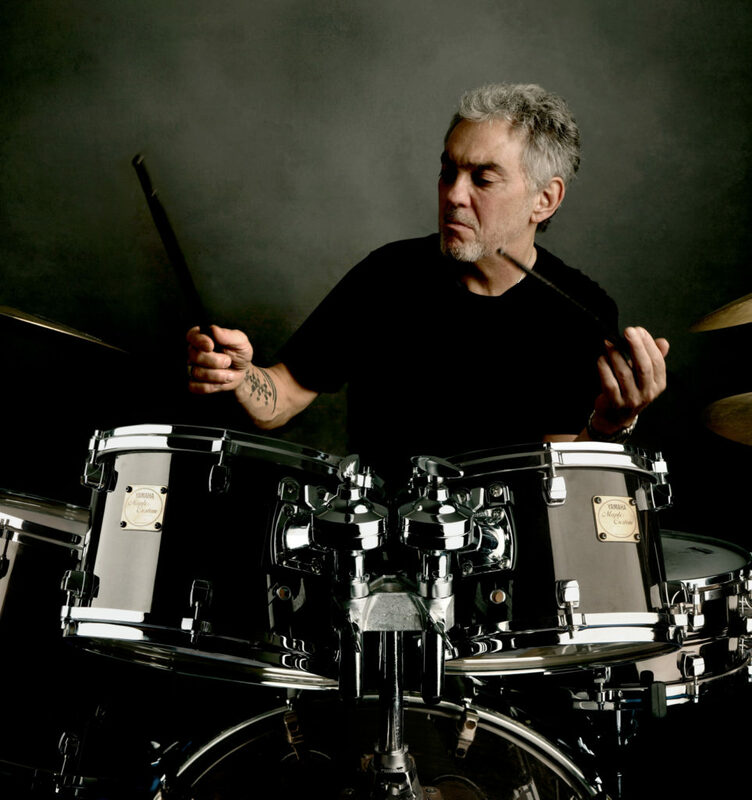 October 6, 2009 – Earthworks, manufacturer of High Definition Microphones™, announced that it has signed legendary drummer Steve Gadd as its most recently endorsed touring artist. Gadd is among the most accomplished drummers of our time and recently completed a European tour drumming for James Taylor. At the very start of the tour, well-respected front of house engineer David Morgan told Gadd about Earthworks’ drum mics. Morgan–who has a stellar track record in his own right, was already a fan of Earthworks PianoMic™ calling it “the most beautiful piano system I’ve ever used.” In his second life as a journalist, Morgan also had written enthusiastic reviews about both the PianoMic™ and the Drum FullKit™. As a friend and a trusted professional, Morgan insisted that Gadd give them a try on the James Taylor tour. On the James Taylor tour, Gadd plays a Yamaha drum set with a 20″ x 16″ bass drum, 12″ and 13″ rack toms and 14″ and 15″ floor toms. He’s also got a rack cowbell on the bass drum and four cymbals: two crashes, a ride, a sizzle and a hi-hat. The entire kit is miked using Earthworks’ Drum FullKitTM system; this includes (1) DP25/C (on the snare), (4) DP30/Cs (on the toms), (2) SR25s (overheads), (1) SR30 (on the hi-hat), (1) SR30 (on the kick drum) and a KickPad. The DP25/Cs and the DP30/Cs yield an exceptional degree of detail due to their extended frequency range and fast impulse response. Also, the diaphragms found on these mics settle much more quickly than competing microphone diaphragms, enabling them to more accurately capture the widely varying timbre and dynamic sounds typically found in a drum performance. The DP25/C, which is designed to excel on snare drums, features a frequency response of 60Hz to 25kHz. The DP30/C, which comes with a flexible gooseneck, has a frequency response of 30Hz to 30kHz. Both microphones can handle up to 145 dB SPL; their polar patterns feature excellent rear rejection, helping engineers effectively control phasing issues.